Come on up to the 2nd Annual Fort Collins Comic Con! Thanks for all who stopped by to say hi at Denver Comic Con this past weekend. Interested in building droids with us? Join up, and say hi on the forums! 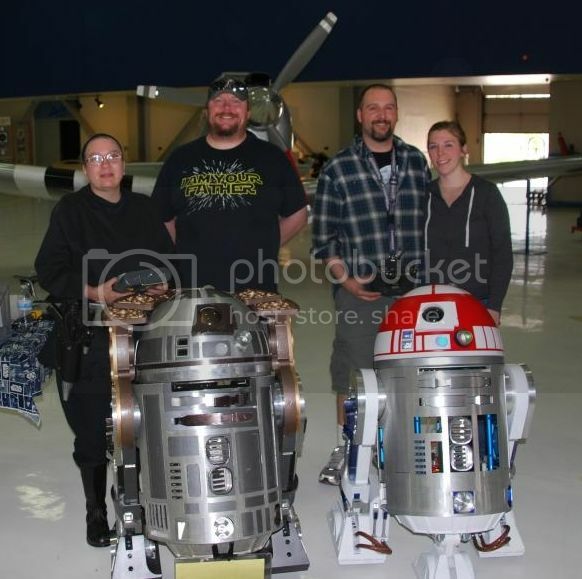 Thanks to everyone who stopped by our area at this year’s Star Wars at the Hangar event at the wonderful Wings Over the Rockies Air & Space Museum. 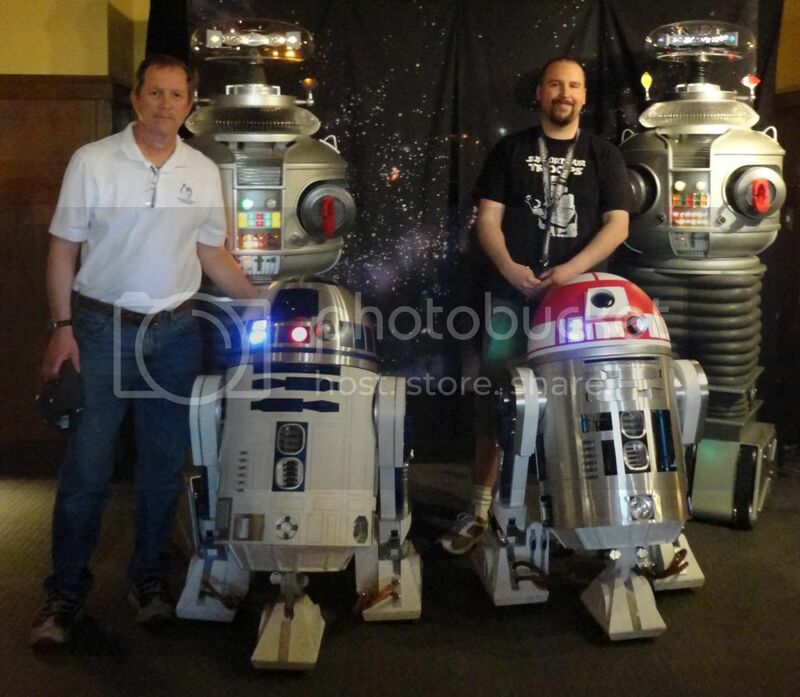 We had droids from Fort Collins to Colorado Springs gather in Denver for another successful event. Feeling like you’re wanting to build a droid yourself? Join us! We had a great time out in Anaheim last week. Thanks to everyone who stopped by! Look at this amazing turnout! Thanks to everyone who came and visited our booth at this year’s NoCo Mini Maker Faire! We hope you got your droid fix, and we welcome to join in on the fun. 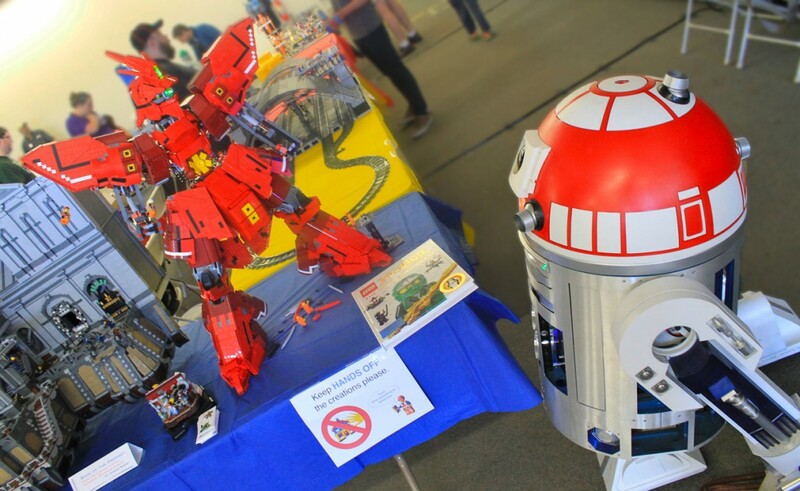 We had a great turnout at Denver Comic Con this year, thanks to everyone who made an appearance with their droid! Did you see us at DCC and are interested in joining us on your own droid quest? We’re looking to build up our club membership, so click here to join us today! Left to right: Cal, Andi, Lynelle, Devin, Tom W., Jackson, Brian, Tim, Rich, Steve. Lynelle, Devin & Andi, and please welcome new builder Steve! Next up: Denver Comic Con! Thanks to all who came out on Sunday, and welcome to new members Tim & Rich! So here we are…a new website for the Mountain States R2 (and other droids, too) Builders. No longer nestled gently in the armpit of the Mountain Garrison, we must now to learn to fend for ourselves in this big world. But don’t fret, we’ll still be seeing plenty of our 501st and Rebel Legion friends. This part of the site is mainly for public consumption (hi public! ); hopefully you take the next step and register for an account and get posting in the forums. Let’s see some new build threads! We’re still slowly completing the website, but it should be largely functional at this point. There is also an “Our Droids” showcase section on the main site. If you are interested in participating, please read more about it here. The purpose of this website is to help build our small group into something more cohesive and fun. Let’s help each other get our droids functional and ready to put a smile on some faces. That’s all for now, see you in the forums!